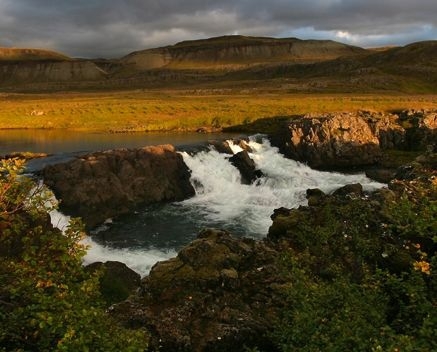 Glanni waterfall is believed by many local people to be the dwelling place of elves and trolls. However Glanni is more commonly known as the source of water flow for the Nortuda River, otherwise known as the 'Queen of rivers'. 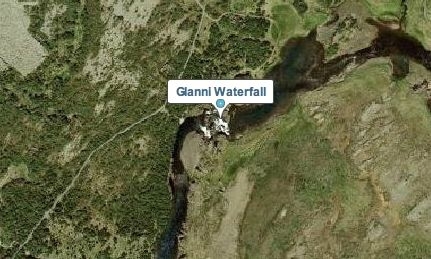 The abundance of salmon and trout has given the river this name. At Glanni, visitors can get great views of the waterfall and surrounding landscapes. Although you cannot go as close to the edge because it is very close to the deepest part of the waterfall. 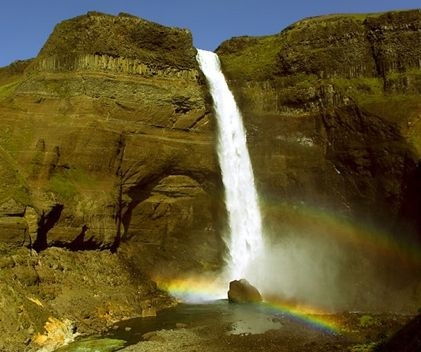 Near to the Glanni waterfall is the Bifrost village, which used to house a hotel for visitors to the region, but unfortunately no longer does. This does however mean that the waterfall is far less busy and guests can have a much more tranquil experience. 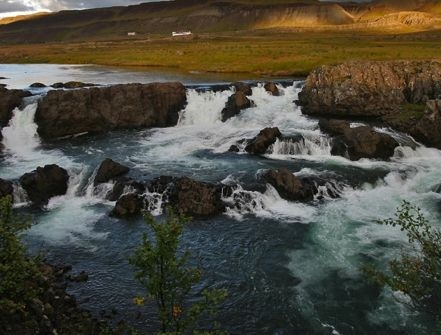 The waterfall is also located near an old formation of lava flow, at approximately 3600 years old, this is part of a diverse range of landscapes in the nearby area. 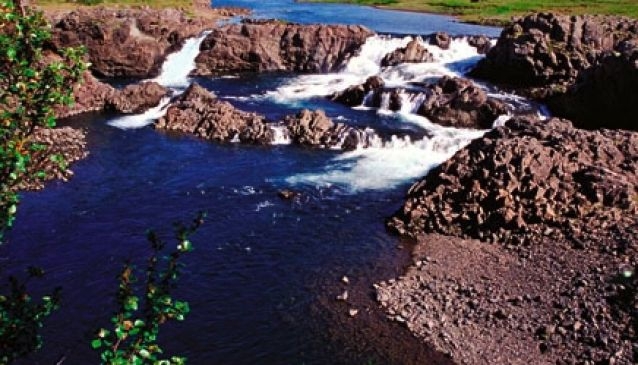 This lava and the Glanni waterfall make a perfect day out, and there are lots of great spots for enjoying a picnic. When approaching the waterfall, look out for the golf course and turn right just beforehand, signposted to Glanni. From the car park there is a marked trail to get to the viewing point, which is elevated above the waterfall. There is also a coffee shop for refreshments and hot drinks, but this is only open to visitors during the summer months.